Matrix metalloproteinases (MMPs) are zinc-dependent proteolytic enzymes capable of causing various inflammatory and various degenerative diseases if over-expressed. The active site of these enzymes is a zinc binding motif which binds to the specific site on the substrate and induce degradation. Hence an inhibitor is required to form a complex with zinc motif which hampers the binding ability of MMPs. 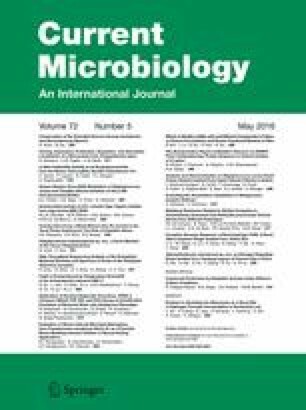 To obtain novel MMPs inhibitor for wound healing, the chelating activity of siderophore from the microbial source was focused. During screening for siderophore production, strain S1 produced the highest amount of siderophore in the minimal salts medium. The isolate was confirmed as Pseudomonas aeruginosa strain S1 based on 16S rRNA gene sequencing and phylogenetic analysis. The activity of the siderophore was assayed using chrome azurol sulphonate and purified by the chromatographic techniques. The structural evidence through Fourier transform infrared and nuclear magnetic resonance spectra revealed that the isolated siderophore is a catecholate type with the distinctive characters. The positive results of calcein and fluozin-3 assays indicate that siderophore could bind to divalent metal ions, namely Fe2+ and Zn2+. As the siderophore compound focused on wound healing property, the in vitro studies revealed the viability of NH3T3 fibroblast cells and its efficiency in matrix modulating was confirmed through gelatin zymogram. The online version of this article (doi: 10.1007/s00284-016-0988-x) contains supplementary material, which is available to authorized users. The author gratefully acknowledges financial support for this work through the grants awarded by the Department of Science and Technology New Delhi (SR/WOS-A/LS-375).